Arsenal in advanced talks to sign World Cup goalkeeper? Arsenal are claimed to be in advanced talks to sign Switzerland international goalkeeper Yann Sommer. This entry was posted in Arsenal News, Arsenal NewsNow, Arsenal rumours and tagged Arsenal, Cech, Sommer on July 21, 2018 by GoonerP. The Arsenal goalkeeper Petr Cech has admitted that some of his team-mates have been distracted by the stories surrounding Arsene Wenger’s future, whilst denying any affect on himself. This entry was posted in Arsenal News, Arsenal NewsNow, Arsenal opinion and tagged Cech, Wenger on March 19, 2018 by GoonerP. This entry was posted in Arsenal News, Arsenal NewsNow, Premier league news and tagged Arsenal, Cech, Monreal, Spurs, welbeck on February 8, 2018 by GoonerP. This entry was posted in Arsenal News, Arsenal NewsNow, Arsenal opinion and tagged Arsenal, Cech on January 29, 2018 by GoonerP. Is Arsenal’s Cech right to insist on winter break AFTER Christmas tradition? This entry was posted in Arsenal News, Arsenal NewsNow, Arsenal opinion and tagged Arsenal, Cech, Winter break on January 9, 2018 by GoonerP. This entry was posted in Arsenal News, Arsenal NewsNow and tagged Arsenal, Cech, Shmeichel, Van Der Sar on December 21, 2017 by GoonerP. 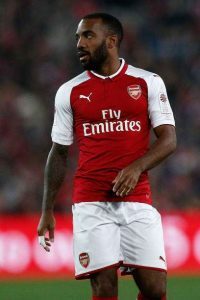 Are his Arsenal team-mates failing Lacazette? This entry was posted in Arsenal News, Arsenal NewsNow, Arsenal opinion and tagged Arsenal, Cech, lacazette on December 20, 2017 by GoonerP.